Great property with lovely views. Had everything we needed for a quiet break. It was a very comfortable, luxurieus and clean appartment. The complex was quiet. The balcony was great: much privacy, beautiful view; good protection against the wind. The apartment has a beautiful view and a very large balcony with multiple places to sit and read a good book in the shade or sunbathe in the sun. There is a lot of privacy, so for those not entirely up for the full expose as the locals do, you can relax and still get a nice tan. The swimming pools is a nice extra for the hot summer afternoons to cool down or an evening swim. I definitely recommend this place for those who like to explore, drive the best roads of Gran Canaria and enjoy the relaxing atmosphere. Die Kommunikation war sehr einfach und angenehm. Fragen wurden sehr schnell beantwortet. Die Umgebung ist sehr schön, ruhig und man hat eine tolle Aussicht von der Terrasse. Die Promenade mit den Salinen ist in ca. 15 Minuten angenehmen Spaziergangs erreicht. Wir können die Wohnung sehr empfehlen. Supermärkte sind jedoch mit dem Auto besser erreichbar als zu Fuß. Schätzungsweise 20 Minuten benötigt man zum Spar Supermarkt. Es empfiehl sich auf jedenfall ein Auto. El mejor alojamiento de toda su zona en nuestra opinión. El lugar muy tranquilo y lo cuidadas que están las instalaciones. Zeer mooi appartement. Rustige omgeving en goede ontvangst. Het terras is zeer ruim en goed voorzien van ligstoelen e.d.. Parkeren in de parkeerkelder is "koel". Sehr schöne Aussicht von der Terrasse und dem Schlafzimmer aus! Sehr viele Dinge des täglichen Lebens vorhanden für eine Woche Urlaub, bis auf Gewürze und etwas Spüli und ein Lappen war alles perfekt. Der Kontakt mit der Vermieterin ging reibungslos, obwohl wir etwas später angekommen sind als geplant. In der Tiefgarage kann geparkt werden und man fühlt sich unter den einheimischen Appartements sofort in Agaete willkommen! Anzumerken wäre noch das man direkt einheimische als Nachbarn hat und auf keinen Fall das Flair einer Bettenhochburg aufkommt, man sich jedoch dementsprechend verhalten sollte. Sehr zu empfehlen, wer jedoch vollkommen abgeschieden wohnen möchte muss sich ein Haus oder Villa in den Bergen mieten. Lock in a great price for thesuites GranCanaria – rated 8.8 by recent guests! 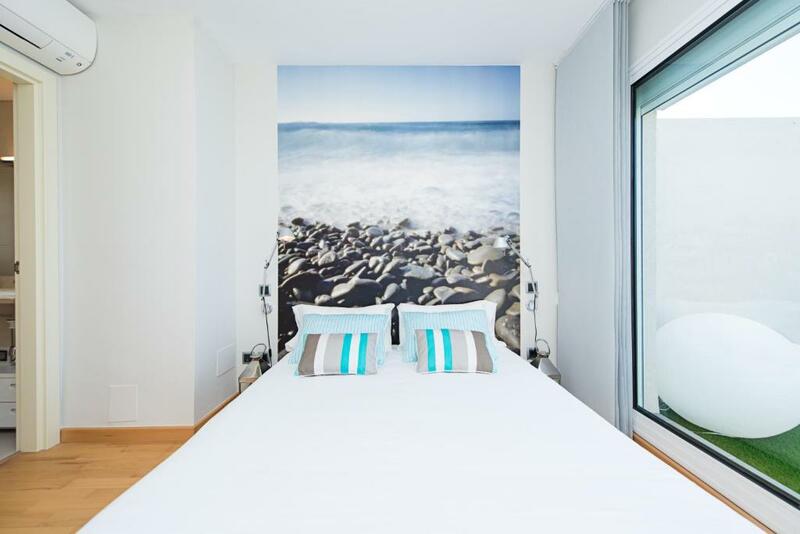 Offering stylish apartments with balconies and beautiful ocean views, thesuites GranCanaria Apartments is 1,650 feet from Puerto de las Nieves Port and its surrounding beaches. It features an outdoor swimming pool and free WiFi. 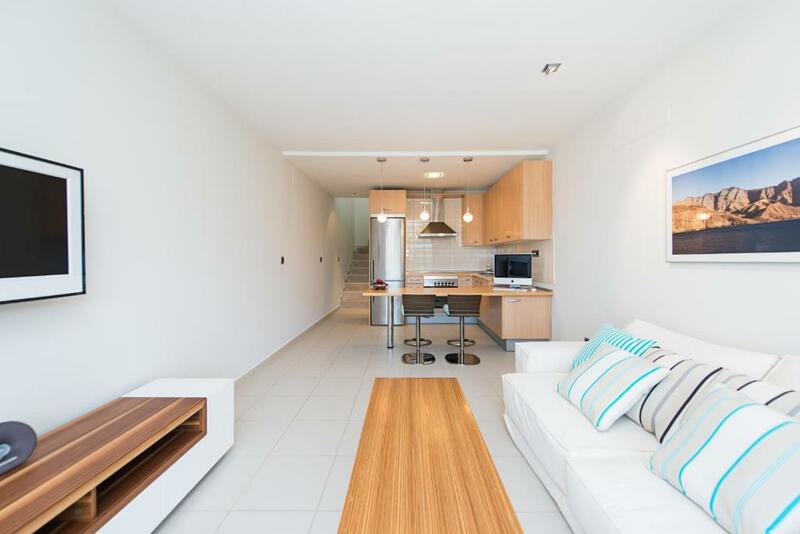 Each duplex apartment at thesuites GranCanaria Apartments has light wooden furnishings with white and stainless steel finishes. The spacious living room has a flat-screen TV with Spanish channels and a dining area. The kitchenette comes with an oven, electric hob and fridge. 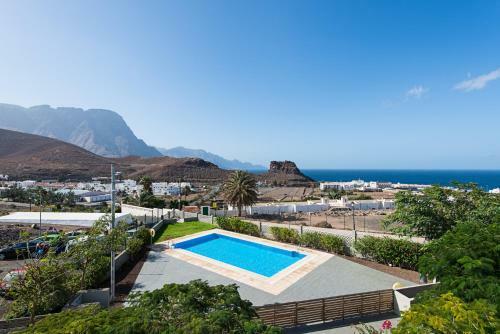 There is a selection of shops and restaurants in the surrounding Agaete area and around Puerto de la Nieves. Tamadaba Natural Park is just 1.2 mi from thesuites GranCanaria Apartments, and is an ideal location for hiking. The complex also offers bicycle rental. When would you like to stay at thesuites GranCanaria? This air-conditioned, duplex apartment has light wooden furnishings with white and stainless steel finishes. The spacious living room has a flat-screen TV and a dining area. The kitchenette comes with an oven, electric hob and fridge. 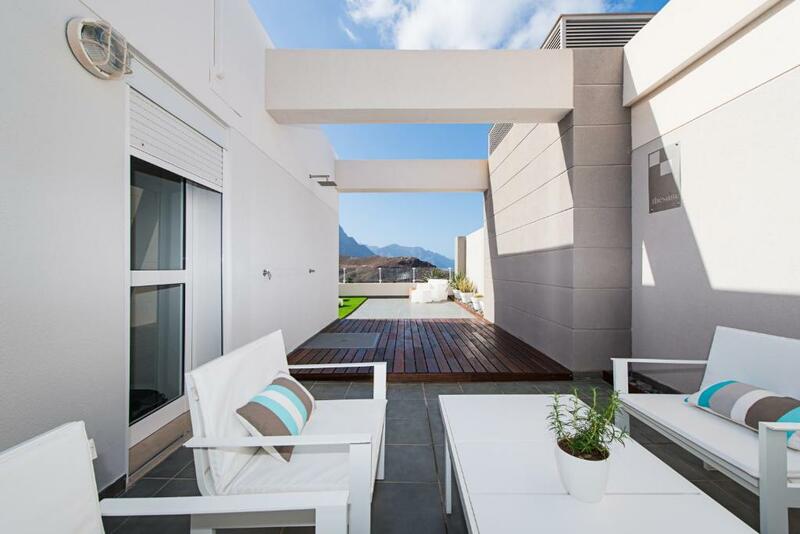 The 197 ft² terrace offers Atlantic Ocean views. 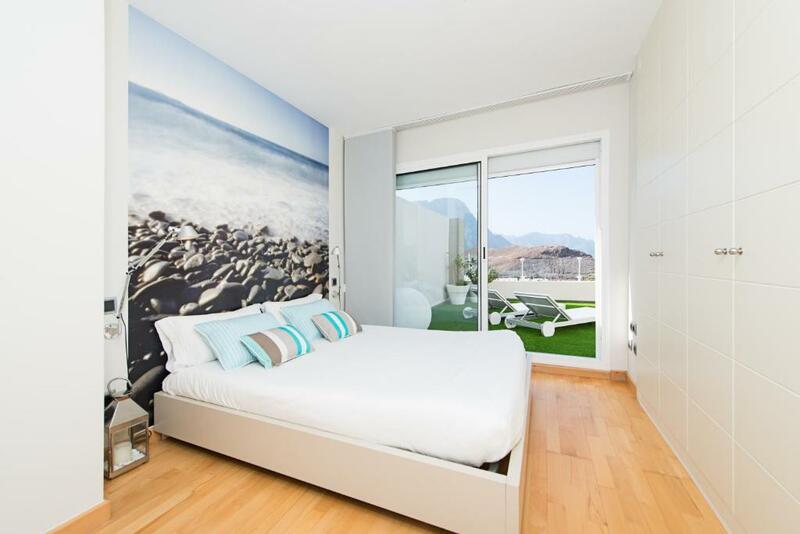 La idea de “thesuites”, nace en el año 2009 con la puesta en marcha de un apartamento en el norte de Gran Canaria. En 2013 decidimos seguir desarrollando el concepto de #nohotels, con la transformación de una propiedad en Barcelona, un edifico de arquitectura romántica de finales del s. XIX. ¿Qué ofrece “thesuites worldwide” respecto a otras opciones? 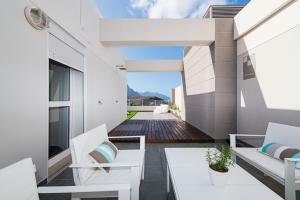 : Libertad, un trato mucho más personal y opciones muy variadas para ocupar el tiempo libre, porque nuestros apartamentos y villas siempre están en lugares céntricos que permiten al visitante introducirse en la vida diaria y real de los destinos que visita. Nuestra vocación es acabar con el trato frío e impersonal que los turistas reciben en los establecimientos hoteleros tradicionales. 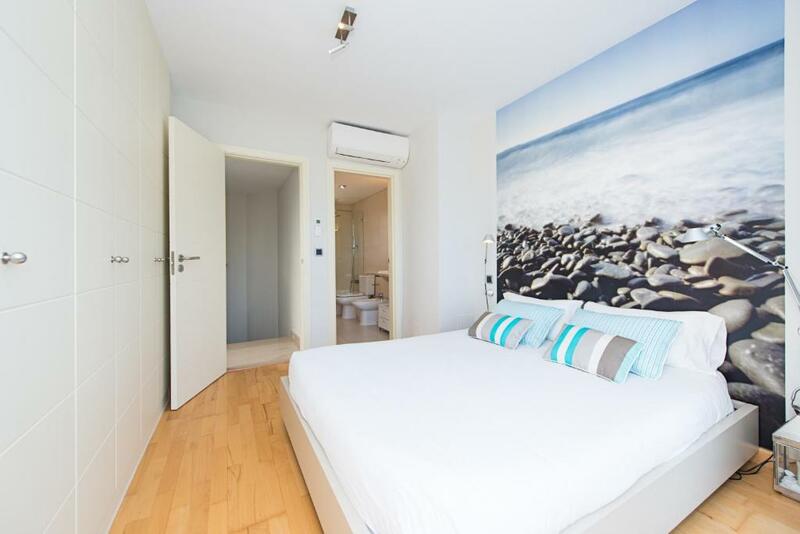 En “thesuites" ofrecemos una atención que responde al perfil del cliente que nos elije: un visitante que no quiere introducirse en los circuitos de siempre, que opta por no tener horarios preestablecidos, que puede preguntar y obtener información de la vida real del destino que está visitando y al que le gusta un ambiente agradable y personalizado con un cuidado interiorismo en sus alojamientos. Situado en la bonita villa marinera de Agaete, a solo 500 metros del Puerto de las Nieves en el norte de la isla. La capital de la isla, Las Palmas de Gran Canaria se encuentra a solo 25 minutos en vehículo y a una hora del aeropuerto. Descubre un maravilloso pueblo pesquero, con sus restaurantes, playa y su Parque Natural para los amantes del senderismo y la naturaleza. Existe la opción de conectar con Tenerife vía fast-ferry en tan solo una hora. 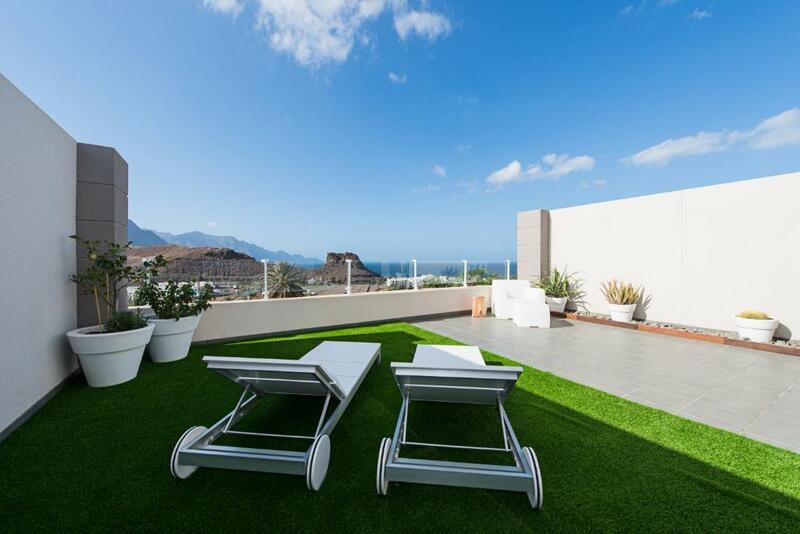 House Rules thesuites GranCanaria takes special requests – add in the next step! thesuites GranCanaria accepts these cards and reserves the right to temporarily hold an amount prior to arrival. Please note that late check-in after 20:00 carries a EUR 60 surcharge. 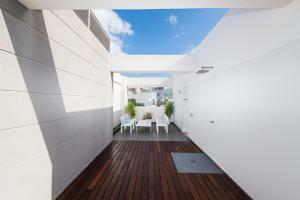 Please inform thesuites GranCanaria of your expected arrival time in advance. You can use the Special Requests box when booking, or contact the property directly using the contact details in your confirmation. We had issues locating the property initially as the name of the complex it was in wasn’t given so we weren’t sure whether we were in the right place, but that was the only issue! It was a little smaller than expected, but none the less gorgeous place to be for a two week holiday or less. the glass floor to the balcony was scary at first for me (afraid of depths), however after a day you're so used to it, you don't even notice it anymore.